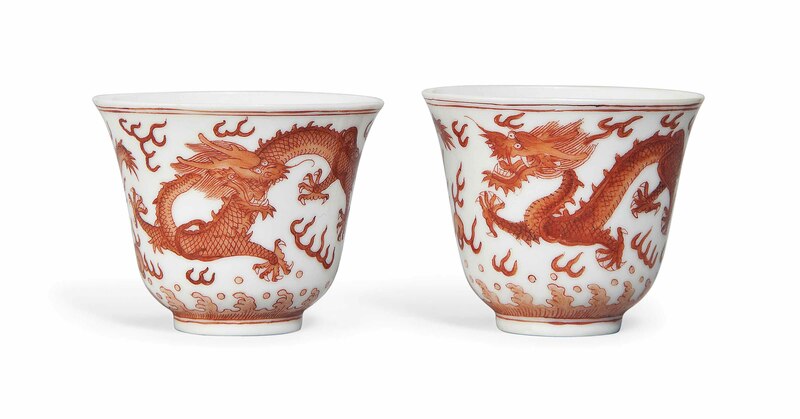 Each cup is decorated with two dragons striding amongst flaming pearls and flame scrolls above foaming waves. 2¼ and 2? in. (5.7 and 5.5 cm.) diam.